Every other Thursday in reception we are learning Welsh and hearing some famous stories during Religious Education. We have started talking about things that are special to us and what makes a good friend. Every other Friday in Year 1 we are doing some exciting ICT work. We are creating vlogs all about our garden area. When they are finished they will be uploaded on here! We are also looking at famous stories from the bible and other religious books. 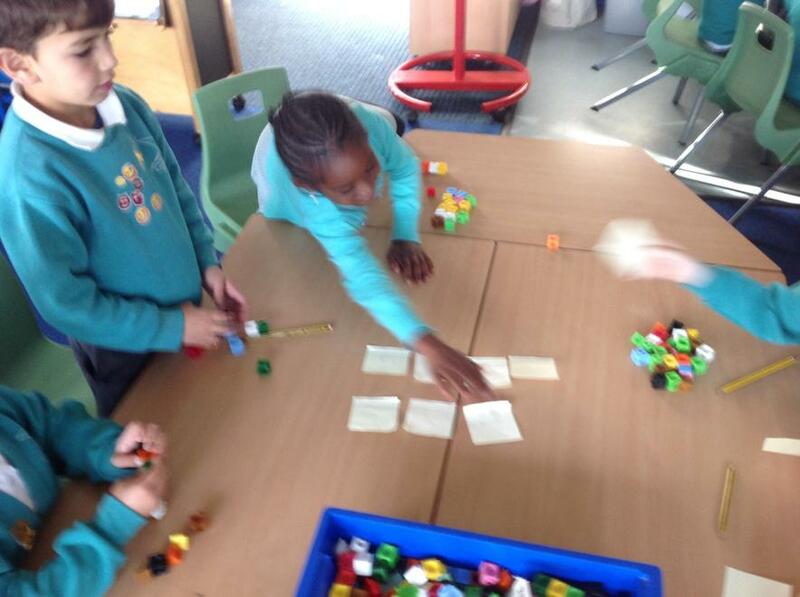 This week we were doing some estimating and reordering. We had to pick up two handfuls of multi link cubes and estimate how many we had picked up. We looked at the other estimations and then ordered them in our group. 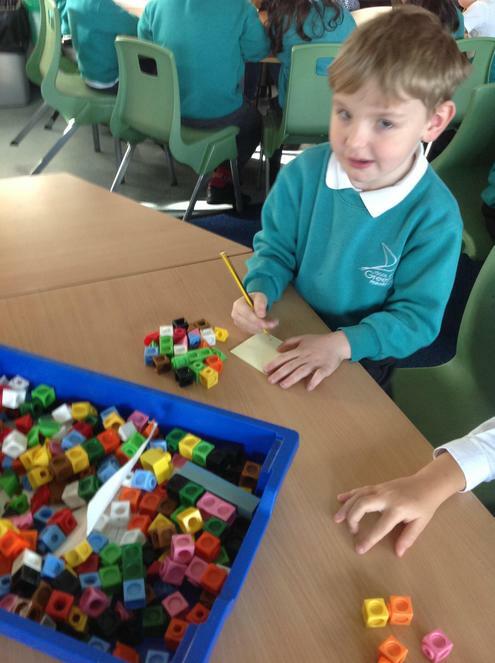 We then counted our cubes to see if we were right and put them in the right order! Every other Monday in Year 2 we will are learning some important words in Welsh, looking at different stories in the bible and creating our very own poems. The poems will be uploaded on this web page when they are completed! 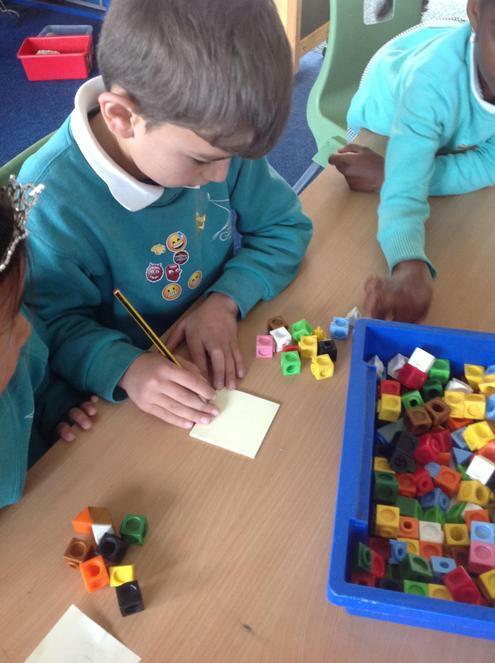 We have been learning how to use capital letters in the right places. Look how good we are are deciding where capital letters belong. We had to sort words which need a capital with words that don't need a capital and match the correct letter to the right capital letter. We will make sure we use capital letters in our writing now! Every other Monday in Year 4 we are looking at improving our comprehension skills. We will be reading stories, newspaper articles and even fact files about famous people and then answering questions about what we have read. As well as this we are doing a project on heroes and talking about local heroes, Welsh heroes and what heroic jobs people have. Every other Wednesday and Thursday Year 5 and 6 are looking how best to look look after and spend money by taking part in the 'Money Sense project'. We have been talking about things that we actually 'Need' and things we just 'Want'. It is important to always check our change and we have been working out how much change we will get from spending different amounts as well as whether it is best to save money or spend it straight away. Did you know that there is lots of safe places to keep money? As part of the Year 5 and 6 topic of 'Victorians' we have been looking at different inventors and their inventions. We have ordered common household appliances in order of importance and giving reasons for our choices. We have also done research tasks on famous inventors and found out lots of interesting things!